Maria Casino is a part of the company Kindred Group which is very popular in the gaming industry. This is why this interactive casino can provide a high-quality experience to each of its members. The majority of the gaming solutions that players have access to run on the software of some of the best providers on the gaming scene. Members of Maria Casino can enjoy plenty of wonderful games which can provide a lot of fun to fans of different genres. The slots are a big part of the gaming solutions available on the web-based casino. For those who dream of becoming millionaires, there are also quite a lot of progressive jackpot games. Fans of classic table games and video poker will not feel neglected as well. Marina Casino can also offer different live-dealer variations of roulette, blackjack and other card games in its Live Casino category. This virtual casino is wonderful for both rookies and advanced gamblers. It offers various tutorials which can help beginners grasp the rules of every game in no time. This is a Flash casino which means that all of the games can be played instantly through your web browser. You can also download the Maria Casino’s application on your portable device and this will allow you to enjoy your favourite games even when you are on the go. This gambling website can make every player’s experience very rewarding and exciting. The bonuses and perks that both newcomers and regular clients can enjoy are very attractive and casino members can have better chances of winning in the games they play. Maria Casino is often organising tournaments which can give players the opportunity to complete different missions and win impressive prizes. If you are having an issue with your gambling experience at Maria Casino, you can contact the Customer Support which will answer your inquiries any day of the week, 24 hours a day. You can use the live chat feature which will allow you to speak directly to one of Maria Casino’s representatives. In addition to this option, you can also use the virtual casino’s e-mail address to ask your questions and receive a solution to your problem. You can send your e-mail at info-uk@mariasupport.com. Online Since Maria Casino has been established in 2007. Deposit/Withdrawal The minimum deposit that players are allowed to make is £10. The minimum of the withdrawals players can initiate depends on the method you have chosen but it generally ranges between £10 and £15. 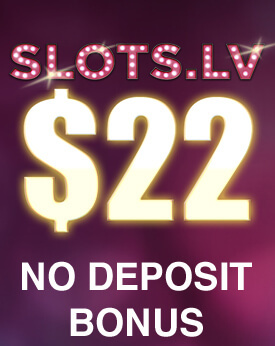 No Deposit Bonus Currently, the casino does not offer a No Deposit Bonus. However, you can always check for any updates on the Promotions Page of Maria Casino. New members can receive a 200% Bonus (up to £20) on their first deposit of £10 or more. 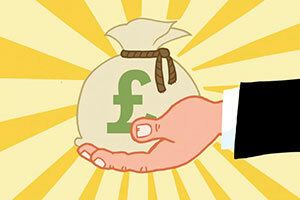 Newcomers can claim a 150% Bonus (up to £60) on their initial deposit of £10 or more. 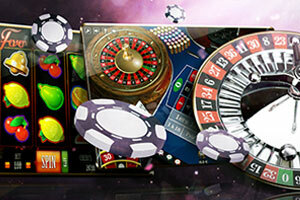 New casino players can opt for a 100% match Bonus (up to £100) on their first deposit of £10 or more. Bonus money cannot be withdrawn and you can cash out your winnings from Bonus money only after wagering them 35 times. In order to withdraw your winnings from Free Spins, you also have to meet the wagering requirements of 15 times the amount of your winnings. This offer is valid only for new members of the casino whose age is 18 or over. Regular Bonuses You can always check the website of Maria Casino for new and upcoming tournaments or promotions. Loyalty Programme Maria Casino has a Bingo Loyalty Programme which allows players to win Loyalty Points while they play bingo or mini games. As players earn points, their Loyalty Progress Bar fills up and once it is completely full they get to spin a Loyalty Wheel. 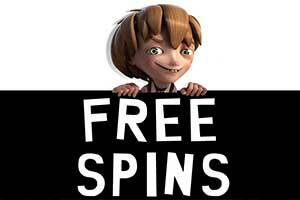 This Wheel can award casino members with Free Spins, bingo vouchers or cash. Sofware Maria Casino runs on the software platform of a few leading companies such as NetEnt and Microgaming. The majority of live-dealer games are powered by the provider Evolution Gaming. Popular Jackpots Some of the most popular progressive jackpot games at Maria Casino are Mystery Reels, Mega Moolah, Mega Fortune Dreams, Major Millions. Game Types Players can enjoy a wide range of games, available at Maria Casino. There is an abundance of slots among which players can find both classic 3-reel editions as well as 5-reel slot games. For fans of roulette, blackjack and other card games, there are also plenty of variations of every casino table game you can think of. In the video poker category, players can find titles such as Jack Wild, Deuces Wild, Jack or Better and a few other editions of the game. Bingo Rooms and Lottery Games are also present at Maria Casino. Live Casino Players who want to enjoy an authentic casino gambling can head to the Live Casino section of Maria Casino. There, they will find thrilling and fun live-dealer editions of games such as roulette, blackjack, poker and baccarat. Mobile Casino There is a Maria Casino mobile application which allows players to enjoy their favourite games even when they are on the go. The application is available both for Android and iOS portable devices. 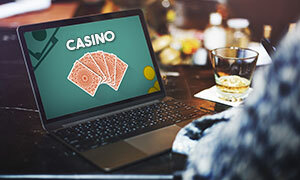 Deposit Methods Maria Casino allows its members to top up their gaming accounts via credit/debit cards, EntroPay virtual cards, Paysafecard, e-wallets such as Neteller and Skrill or online banking. European players can also use the service of Trustly to make a deposit. Currencies Players are allowed to set their accounts in DKK, EUR, GBP, NOK, PLN, SEK, BRL, CHF, HRK, HUF, and RON. Language The website of Maria Casino supports the following languages: English, Danish, Estonian, Swedish, Norwegian, Finnish. Support Players can contact the Customer Support team via a live chat which is open 24/7 or they can send an e-mail to info-uk@mariasupport.com. Licenses Maria Casino holds licences issued by the Maltese Gaming Authority, the UK Gambling Commission and the Gibraltar Gambling Commission. For the truly passionate fans of casino entertainment, Maria Casino has prepared an abundance of fun and bountiful games. Diversity is a key element for an entertaining gambling experience and Maria Casino definitely knows that. This is why its members will be able to discover various titles that can please every type of casino enthusiast. 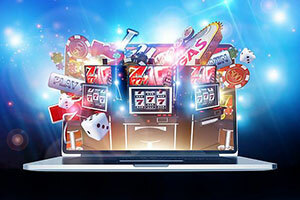 With the wide range of gaming options, you are presented at this web-based casino, you are a guaranteed to find a title that will both entertain you and hopefully boost your gaming balance. The amazing quality of your online gaming experience is all due to the fact that the software suppliers that have powered the games at Maria Casino are giants in the iGaming industry. Among the companies that have worked on the titles at this online casino, you will see names such as Microgaming, NetEnt, Evolution Gaming and several other well-renowned software suppliers. If you are a member of this interactive casino, you will be able to play a plethora of fun games as soon as you log into your account. There is no need to download and install any additional software and you can simply load any game on the browser of your desktop or mobile device. It is impossible to miss out on the fun if you become a member of Maria Casino. If you are a fan of slot machines, then you will definitely enjoy your time at this superb online casino. This genre is definitely well-represented thanks to the newest and most innovative games provided by leading companies in the gaming developing industry. 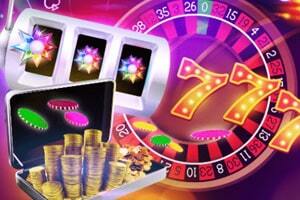 In this section of the virtual casino, you will find a wide range of video slots. Those are very popular among gambling enthusiasts since they provide a more innovative and fun way to possibly win pretty major wins. Some of the newest video slots powered by companies well-known for their amazing gaming products are available for the patrons of Maria Casino. 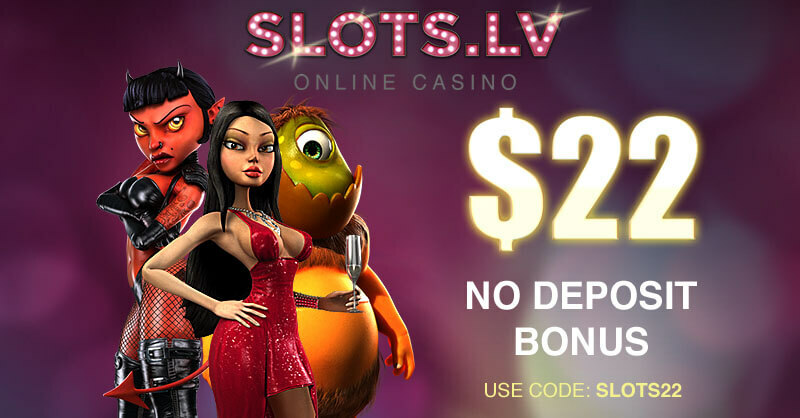 If you try a few of the slot variations at this web-based casino, you will be intrigued by their special features such as multiple paylines, wild and scatter symbols and bonus rounds. You will definitely not regret it if you play NetEnt’s popular Starburst slot, Novomatics’ Book of Ra, NetEnt’s Jumanji and other great video slots, available at Maria Casino. In addition to the wonderful video slots that you will come across at this interactive casino, you will also have access to several classic slots. Those are inspired by the traditional slot machines you are used to seeing at classy land-based casinos. Titles like Break Da Bank Again, Lucky Lady’s Charm and Diamond Empire are among the classic slots you will be able to play as a Maria Casino patron. The popularity of roulette is undeniable and it is no wonder that online casinos also provide numerous variations of the table game. If you are ready to embark on an interactive roulette adventure, you can be sure that there is no better destination for you other than Maria Casino. 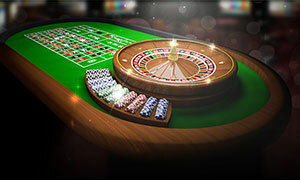 The web-based casino has prepared a wide range of roulette games for its patrons. The best part of joining Maria Casino is that you will be able to pick the title that you believe will suit your taste the best. Whether you are a fan of the 37-pocket game of European or French roulette or you prefer playing its riskier American version, you will be able to find a few titles that will suit your needs. At Maria Casino, you will see that each of the roulette titles has displayed its betting limits which can help virtual players to pick the game which will suit their bankroll the best. You can start your gambling adventures with classic European Roulette or you can experience the excitement of playing high-roller variants such as Premium Roulette, Double Ball Roulette, European Roulette Pro and other exciting titles Maria Casino has in store for its patrons. It is definitely not easy to neglect the numerous blackjack variants you will be presented with at this interactive casino. If you are a fan of the game of 21, you will enjoy your time at Maria Casino since you will have the chance to pick from a wide range of options that will both entertain you and hopefully boost your gaming balance. Whether you prefer to play with European or American rules, you will find a game that will be to your liking. 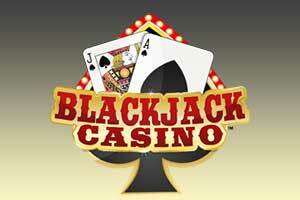 If you are looking for the best blackjack version online, you can definitely head to the section with table and card games at Maria Casino. From classic blackjack to some exciting and very rewarding options, this gaming website is ready to fit your needs. Whether you enjoy playing with lower stakes or you wish to make higher stakes and receive bigger payouts, you will be able a game that will fit your budget. In order to suit the needs of various players, the online casino offers Blackjack Classic 5 Hand with low, medium and high betting limits. This is great news for both high-rollers and rookie players. You can also diversify your blackjack experience by taking advantage of the side bet of Blackjack 21+3. 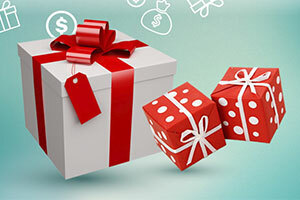 Thanks to this additional betting feature you can win a generous payout and enjoy your online gambling to the fullest. If you are a fan of both slots and classic poker, then you might find video poker for a very enjoyable casino game. 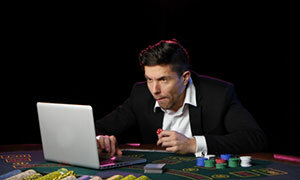 Since it combines some elements of both of the gambling categories, you will have to rely on your luck and your skills. You will have a chance to make a decision that will have an impact on the outcome of the game. When it comes to making a successful gambling on video poker, it is essential to pick the most rewarding and enjoyable version of the games. As soon as you log into your Maria Casino account, you will be able to pick from several video poker variants that can entertain players and reward them with pretty generous payouts. Many players believe that if they use the right type of video poker strategy, they can improve their odds significantly and land impressive prizes. This can be tested at this online casino that offers video poker options which are very popular among fans of the game. You can test your luck and your poker skills at Jacks or Better, Joker Wild, Deuces Wild and All American. In addition to the traditional video poker options that you will be presented at Maria Casino, you will also have the chance to play Abracardabra. This fun and innovative game resembles slot machines in the sense that it uses fruit symbols instead of the playing cards from the deck. It is definitely a new way to test your luck and try to win impressive rewards. If you are on the lookout for more exciting adventures and massive cash prizes, you should definitely give the jackpot games of Maria Casino a try. For those who are excited to test their luck in the hopes of landing a progressive cash prize, the web-based casino has listed a wide range of titles that can instantly make lucky winners a lot more richer. If you want to participate in the games that offer progressive jackpots, you can do that by making a maximum bet. This way you will qualify to receive the massive prize of the virtual casino if you happen to land the winning combination. If you fail to win the jackpot, however, your bet will contribute to the increase of the prize pool and you will have the chance to win it the next time you make a maximum bet on the game. Currently, several of the titles that offer the biggest progressive jackpots include Mega Moolah, Major Millions and Arabian Nights. All of these popular slots can transform any regular player into a millionaire in a single spin. There are also live-dealer games such as Live Caribbean Stud Poker and Live Casino Hold’em that also offer virtual players the opportunity to sweep amazing jackpots. If you are excited about the plethora of games at Maria Casino, you will be even more pleased to see that you can make your online gambling even more authentic. Thanks to the Live Casino games that you will be presented with at this website, you will be able to play a handful of table and card games against a live professional dealer. This will allow you to experience the excitement and authenticity of top-notch land-based casinos without even leaving your own home. Members of Maria Casino can bring colour to their everyday virtual gambling by playing Live Roulette, Live Blackjack, Live Baccarat, Live Casino Hold’em and other variations of popular casino games. Casino patrons have the chance to pick tables with lower betting limits or they can opt for variations that allow higher bets. To make their experience even more exciting, virtual gambling enthusiasts can also play Money Wheel at the live-dealer section of Maria Casino. Can players be sure that gambling at Maria Casino is fair? The majority of casino and slot games at Maria Casino are provided by NetEnt which is a leading company in the gaming industry. Both the software of the provider and the website of the casino are monitored by third-party companies which makes sure that playing at Maria Casino is safe and honest at the same time. In order to ensure a fair outcome of each game, the casino utilises a Random Number Generator. Is players’ personal information jeopardised in any way? No. Members of Maria Casino can be sure that any sensitive information such as their personal address, details about their credit/debit card or bank account is always protected. All the data which is sent to or from Maria Casino is encrypted using 128-bit Secure Socket Layer (SSL) technology. This means that no one will be able to read the information even if they somehow get an access to it. Can beginners play at Maria Casino? Absolutely. Maria Casino is a perfect website for both newbies and advanced players. Even if you are not aware entirely of the rules of a certain game, you can head to the Casino Guides Page and see different sections which can explain all about the rules and features of slots, the basics of table games and even the specifics about Free Spins and the Casino Tournaments. In no time, you can become an expert in every game category that Maria Casino offers to its members.